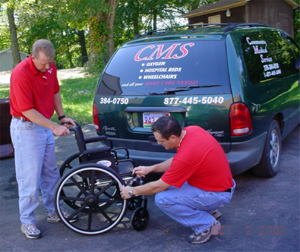 Community Medical Services, Inc. is a small, privately owned company located in beautiful south-central Kentucky. We specialize in home oxygen, durable medical equipment, and home medical supplies. The owners and staff have over 20 years experience in home health care products and services. In addition to the friendly office staff, Community Medical Services, has a staff registered respiratory therapist. A Pharmacist in Charge (PIC) is also utilized to ensure that all oxygen procedures are handled with care. Community Medical Services, Inc. is a Medicare-approved supplier and will work with virtually all insurance companies including Medicaid and private insurance companies. We are accredited by The Joint Commission (JCAHO), hold membership with the Kentucky Medical Equipment Suppliers Association (KMESA), and membership with the National Federation of Independent Business (NFIB). 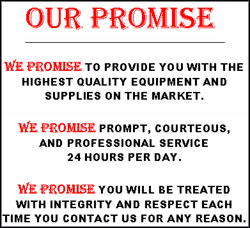 We offer LOCAL 24-hour service and free delivery, setup, and equipment education. Call us toll-free Monday thru Friday 8:00 am – 5:00pm central time at 877-445-5040 for answers to your home medical equipment needs.